Home » Health » What may protect against colon cancer? The protein is PGC 1 alpha can be activated by the herbal substance resveratrol in the gut. 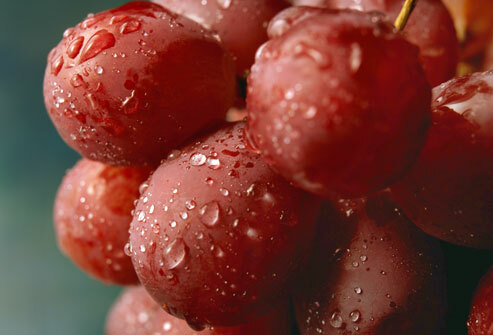 Resveratrol again is plentiful in peanuts, and contain in shells of red grapes and berries. The research team at the in has found that the protein PGC 1 alpha triggers a strong increase in mitochondria, which are able to eradicate tumor cells in the gut. More mitochondria = more energy for the body thanks to the protein. According to him PGC 1 alpha triggers an unusual proliferation and boost the mitochondria. The mitochondria are known to be responsible for the energy distribution in the cells. By-products of energy production and free radicals are formed in the cells that can damage cells. At the moment, it is important that the body can provide a sufficient number of free radical scavengers to stop the damage to the cells. How could the protein can be used to protect against colon cancer? According to the research, the tumor cells in the intestine can be driven to cell death by letting occur in the gut in large quantities the protein PGC 1 alpha. This can be achieved by the plant active ingredient resveratrol (resveratrol is medicine used since 2007 in the field of regenerative mitochondria in conjunction with other polyphenols). The protein triggers strong boost from mitochondria, consequently, in tumor cells one hand, large amounts of energy, on the other hand harmful free radicals. Creating a temporary overproduction of free radicals in the tumor cells with simultaneous undersupply of radical scavengers, the tumor cells are destroyed by the harmful free radicals. According to researchers could use resveratrol not only for the active elimination, but also to prevent the formation of tumor cells. This mechanism has been tried out by the research team on mice, which have proven to consequently produced immune to cancer. The corresponding study was published in the prestigious PNAS (Proceedings of the National Academy of Sciences).